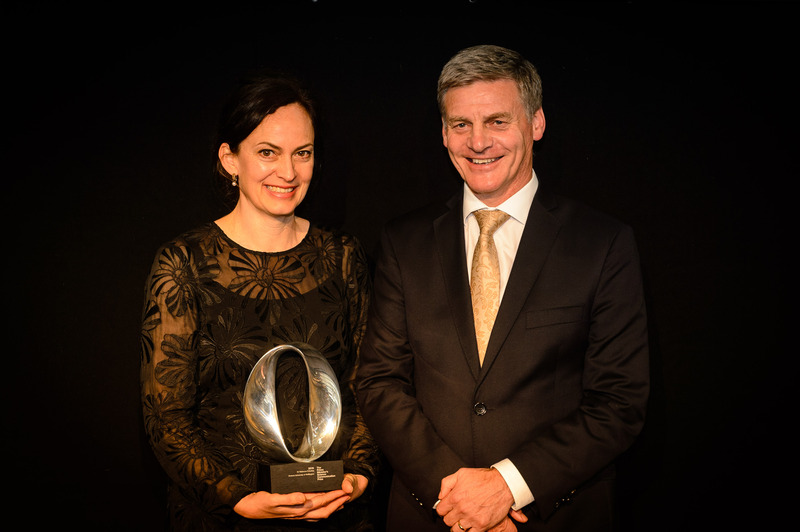 Dr Rebecca Priestley, a senior lecturer in the Science in Society Group at Victoria University of Wellington and a well-known writer of books and articles about science, received a $100,000 prize from the Prime Minister on 21 March as the winner of the 2016 Prime Minister’s Science Communication Prize. Communicating science in a way that helps people make informed decisions about issues, ranging from purchases at the supermarket to voting at the ballot box, is one focus of the winner of the 2016 Prime Minister’s Science Communication Prize. Rebecca’s career in science communication spans more than 20 years. Over the past six of those, she has written more than 200 science articles and features for the weekly magazine the New Zealand Listener. She is the author or co-author of eight books on the history of science, including The Awa Book of New Zealand Science and Mad on Radium: New Zealand in the Atomic Age, appears regularly at book and science festivals around the country, and has curated exhibitions on the history of New Zealand science. At Victoria University, Rebecca co-leads the Science in Society Group with Dr Rhian Salmon. Rebecca teaches science communication and history of science as part of the Group’s suite of courses that explore the relationship between science and society. She also co-teaches, with Ashleigh Young, a creative science writing course at the International Institute of Modern Letters. 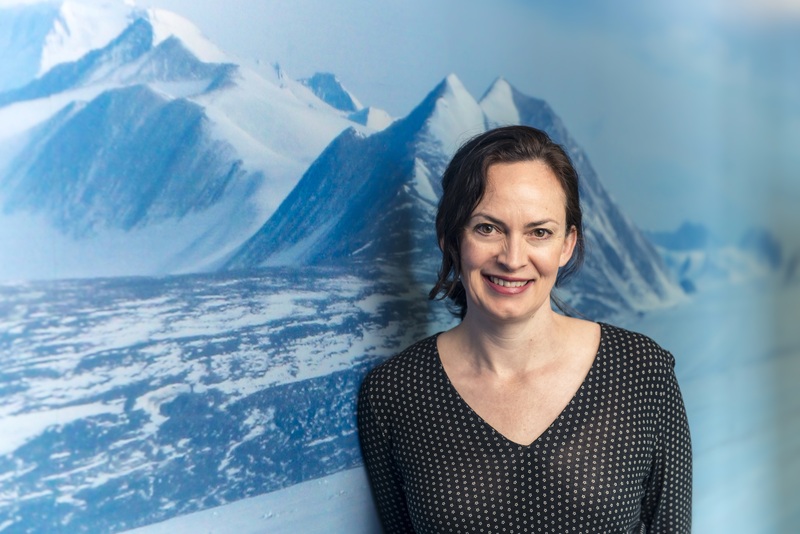 She also leads a MOOC (massive online open course) about Antarctic science, the first to be offered internationally by Victoria University which was founded by some of the world’s top universities. This MOOC launches in April this year. Some of the $50,000 of her Prize money designated for science communication activities will be used to develop a new MOOC, this one on Science Communication. She intends to collaborate with previous winners of the Prime Minister’s Science Communication Prize, and others, to create an online resource with a MOOC component for New Zealand scientists interested in communication or for budding science communicators. In addition, Rebecca will provide establishment money for New Zealand’s first fund to support independent science journalism and will bring an international science communication expert to New Zealand to present masterclasses and run workshops for science communicators. Rebecca has a BSc (Hons) in earth sciences from Victoria University and a PhD in the History and Philosophy of Science from the University of Canterbury. She is also a scholar in science communication and the history of science. Rebecca started working in science communication in the 1990s, at a time “before the term was even used in New Zealand”. She has forged new ground in many areas, including making connections between science and other disciplines such as the arts, humanities, and history. Antarctica is an area of special interest and Rebecca has visited there twice, and is hoping to make a third trip this year. The selection panel agreed that Rebecca is a superb recipient for the Prime Minister’s Science Communication Prize and were impressed with her track record of accomplishment in science communication. She articulated a coherent and comprehensive plan for how this Prize will benefit New Zealand by capacity building in science communication.